Your Mernda dentist at United Smiles is proud to announce the latest cutting-edge orthodontic treatment, the Inman Aligner. This simple removable appliance might be the perfect solution for your crowding and misalignment issues. Inman Aligner aligns front teeth quickly and safely, making it a minimally invasive treatment for your smile. Inman Aligner is one of the most amazing innovations in modern dentistry. With its ability to perform rapid tooth movements prior to cosmetic dental procedures, Inman Aligners allow dental professionals to be more conservative than before. In 6 to 12 weeks, Inman Aligner provides you with amazing results and the benefits of having straighter, beautiful smile. The Inman Aligner consists of Nickel Titanium coil springs. The titanium springs power the two aligners that gently oppose each other and guide the teeth into their ideal position. These forces are gentle and active over a very large range of movement. That’s why the aligner works so quickly. Fitting the tooth aligner requires two appointments, which often takes half an hour, followed by 15-minute monthly dental check-ups. Once the treatment is complete, you’ll need to wear a retainer for keeping your front teeth straight and properly aligned. For suitable cases, Inman Aligner is a much faster treatment than other alternative orthodontic techniques. Only your dentist can determine if Inman Aligner is the most suitable treatment for you. Are you looking for Inman Aligner certified dentist? Look no further. United Smiles is certified to provide the Inman Aligner as one of our orthodontic treatment services for our patients. 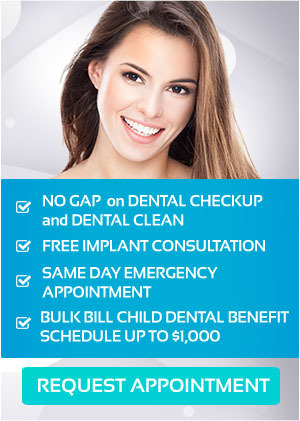 In a matter of weeks, we help you get the smile of your dreams. Straighter teeth are healthier and more beautiful. With Inman Aligner, your oral health and general wellbeing will both improved. For more information, contact your Mernda dentist today at United Smiles or make an appointment online to claim your FREE Consultation on Inman Aligner. Call us (03) 8682 8658 or visit your Mernda dentist today!